Do you remember when vampires were actually cool and they weren't covered in glitter and didn't cry like sissy babies about being in love? When they just wanted to tear your throat out and drink your blood and live in cool castles. If you said no, then there is no help for you. If you said yes, then continue reading. 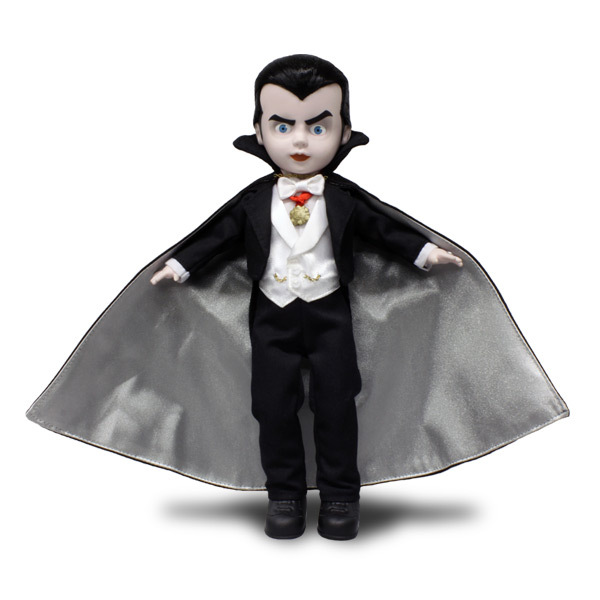 Living Dead Dolls are releasing this special Universal Monsters Dracula doll in October, but you don't want to spend your Halloween trying to hunt one of these guys down. Preorder one now from Mezco for $32 and use all your free time doing whatever else it is you may do. I don't know your life.